Indian summers tend to be on the harsher side and people across the country eagerly wait for Monsoon clouds to bring much-needed respite. The first drops of rain, the rich smell of wet mud wafting from the ground, and a cool breeze to top it all off. These are sure to dredge up childhood memories of paper boats and playing in puddles. It feels great to sit by the window with a cup of masala chai and watch the rains washing away the dust from every leaf. While the relief these rains bring is more than welcome, the season comes with its own set of problems. Unwelcome moisture and humidity shouldn’t keep you from enjoying the rains from the comfort of your own home. Here are a couple of measures you can take to have all the fun and none of the problems that this season brings. If you live in a rented flats in bangalore, that is more than 20-25 years old, get your roof inspected for leaks and cracks. Besides keeping water out of your house, it also needs to be strong enough to withstand a Monsoon storm. 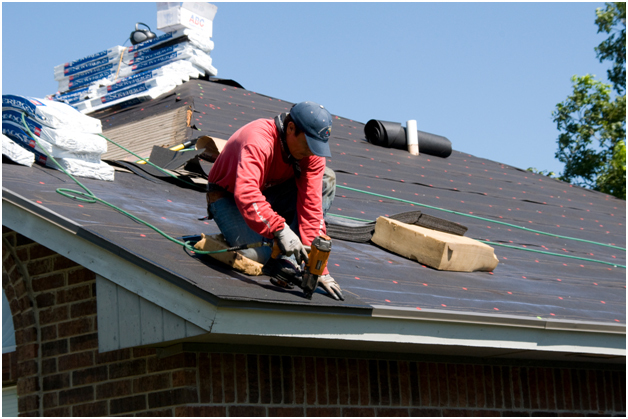 Hire a roofer to fix any cracks and weaknesses. Crevices and gaps along the floor and the walls should be filled to prevent water seepage. It’s best to hire professionals, but you could also do this yourself with white cement or plaster of paris. If you have sliding windows, check for gaps that could let in water and get them fixed. It’s common for drains to get clogged during the Monsoon, so you need to pay extra attention to ensure the drains in and around your home are clean. Hire professionals’ cleaners and have all your drains cleaned before Monsoon arrives. Clogged drains smell foul and become the breeding grounds for mosquitoes—neither is an enticing prospect. You could also install downspouts and rain gutters to divert water away from your home during heavy downpours. You could connect these downspouts to underground drains as well. Wooden doors and windows swell up during the Monsoon by absorbing moisture, which makes it difficult to open and close them. You can use wax to prevent this from happening. Simply apply wax on hardwood surfaces and protect them from moisture. If you mop your floors every day, roll your carpets and put them away for the season. Cover the expensive ones in plastic sheets to keep them safe and bring them out only after the rains recede. Clean furniture with a dry cloth because high levels of moisture can ruin the wood. Use an antibacterial cleansing agent when mopping floors—look for one that can keep bugs, flies, and mosquitoes away. After mopping, use a dry mop or cloth to ensure that all the moisture is gone. Change your linens every alternate week as moisture in the air can spoil your bedsheets, bed covers, and table cloths. Light scented candles or use a few drops of scented essential oils to get rid of any damp smells around the house. Enjoy your clean, dry Monsoon!